When you are reading this, you are quite likely either thinking about traveling to Sri Lanka or you bought tickets already. Both sounds tempting and we can tell, you won’t regret your trip. Sri Lanka is fascinating from the first day onwards. 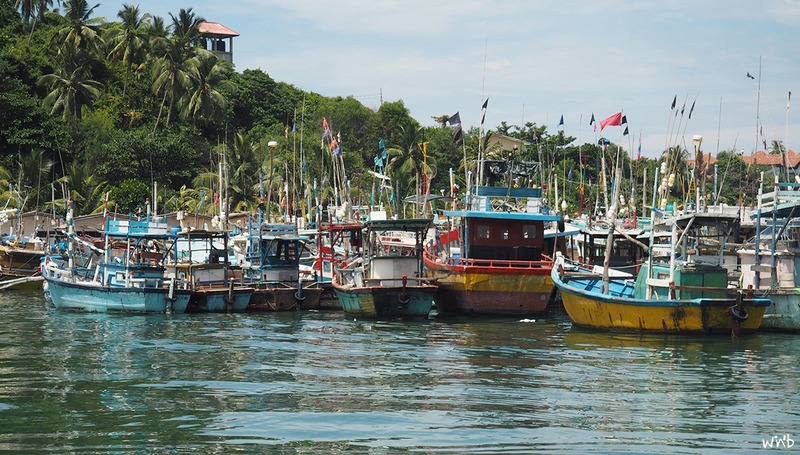 The following article presents a travel route through Sri Lanka for two weeks. As the South has good weather while the East is facing rain season, this Sri Lanka travel route is best suitable for a time between October and April. Here’s our travel route Sri Lanka! You will arrive in Colombo, the hectic and loud capital of Sri Lanka. We wanted to stay a couple of days to explore the city but we have been annoyed by all the noise and craved for relaxation. Thus, we left Colombo after one night. 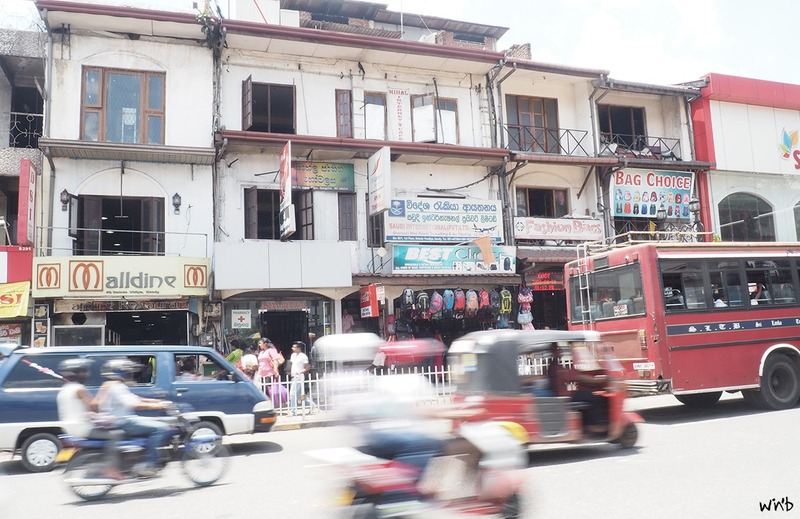 Colombo will most likely offer a lot of different things to see but the island has so many things worth seeing that it might be a wise decision to head on to Kandy. We would suggest taking a Tuk-Tuk from your Hostel or Hotel to the train station (Fort Railway Station) to hop on the train to Kandy. Now, your trip starts to get exciting. You are joining Sri Lanka’s society in the train and soon flat land makes way for green hills. Welcome to Sri Lanka. Arrived in Kandy you need to start exploring Sri Lanka’s cultural capital. Here you can visit temples, enjoy the hilly landscape from viewpoints and walk around the beautiful lake in the middle of the city. Visit “The Temple of Tooth”, walk around the lake, watch out for events, enjoy good coffee (in the café “The Natural Coffee” as it might be your last one in Sri Lanka), buy a SIM card and get impressed by Sri Lanka’s culture. In a day trip from Kandy you can reach the rock of Pidurangala. From here you can see the famous and at the same time very touristy rock of Sigiriya (The Lions Rock). Thanks to the similar size, the view from Pidurangala is still extremely impressive. As Sigiriya is one of the “hottest” tourist hotspots it’s busy and got ridicously expensive. Here you pay an entrance fee of 30€, whereas the rock from Pidurangala costs little less than one tenth. As we are always looking for less busy places (for nice photos and a relaxed time) we recommend visiting Sigiriya’s “small brother”. If you are traveling between December and May in Sri Lanka, you have to climb Adam’s Peak. In off-season, the weather on Adam’s Peak is not suitable for the hike and due to the risk of landslides the police prohibits the ascent. From Kandy, it goes onwards in a beautiful, two hour train ride in the direction of Hatton (100 LKR, roughly 60 Cents). After that, you need change from the relaxing train to a bus and the onwards travel will be a lot less comfortable compared to Sri Lanka wonderful trains. After two hours speeding through tea plantages you will arrive in the little village of Dalhousie. This is the best starting point for the next morning’s hike. At around 2am you should slowly start the ascent to reach the highest point just before sunrise. After this exhausting (!) hike you will get rewarded with a view, you have never seen before. For us, this view on the hills of Sri Lanka was certainly one of the most beautiful things we saw in our entire lives. For more tips on the Adam’s Peak, have a look at our Sri Lanka eBook. Note: Try not to climb up Adam’s Peak on Sundays or Full Moon, as on these holy days the way up will take a lot longer due to crowded paths. With tired legs, you will now see the most beautiful part of the train ride. The way to Ella is magical. Equally magical is the small backpacker village surrounded by tea plantages. Here you can stay a couple of days, relax and enjoy all kinds of fresh tea variations. 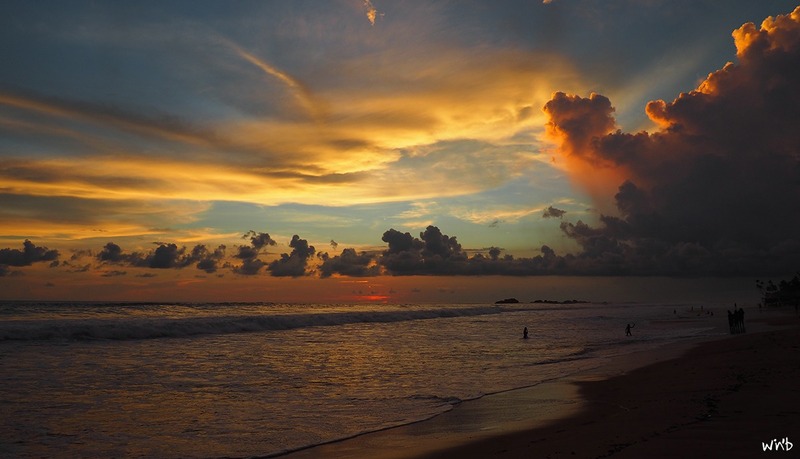 Now you will finally get to see Sri Lanka’s stunning beaches. 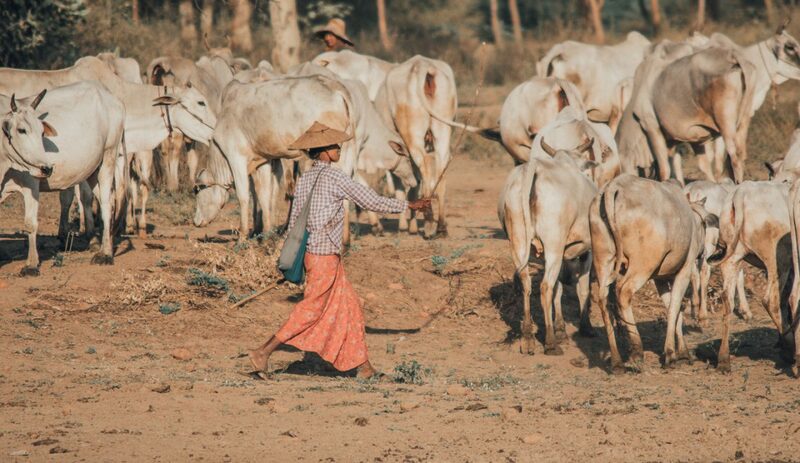 We noticed, while making our way through Sri Lanka’s highland that we are rushing. Not because we did not like the highlands (we really liked it) but we even more fell in love with the countless sandy beaches. The first stop could be Tangalle, Dikwella or Mirissa. For swimming and especially snorkeling we preferred Mirissa over Tangalle. Whereas we found Tangalle a bit more quite and relaxing. Both beaches are unbelievably nice. So just get yourself a hammock, a coconut and enjoy the sun. In case you want to surf, Weligama is a great place for almost every surfer. Beside soft beach breaks you will also find harsher reef breaks with powerful waves. Here we started our trip and here we ended our trip. The sunsets, good food, friendly people and the warm, partially powerful waves. All that made saying goodbye to Hikkaduwa hard in the end. Hikkaduwa is a small village with a train station and a lot of Tuk-Tuks. Even though Weligama and Medigama offer more variety of surf spots, here you can also have a lot of fun in the water and end your vacations slowly. 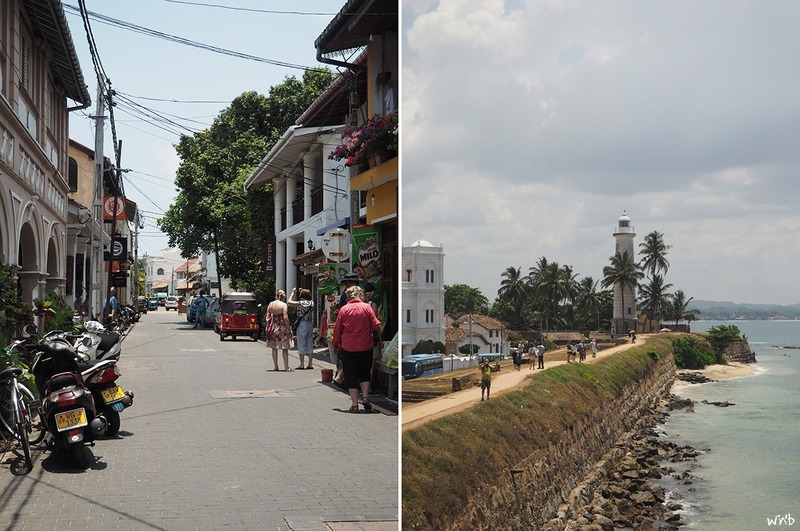 On the way to Hikkaduwa you should make a quick stop in Galle. In the beautiful colonial city, you can lock your backpacks at the train station and stroll through the old town just with a light daypack. 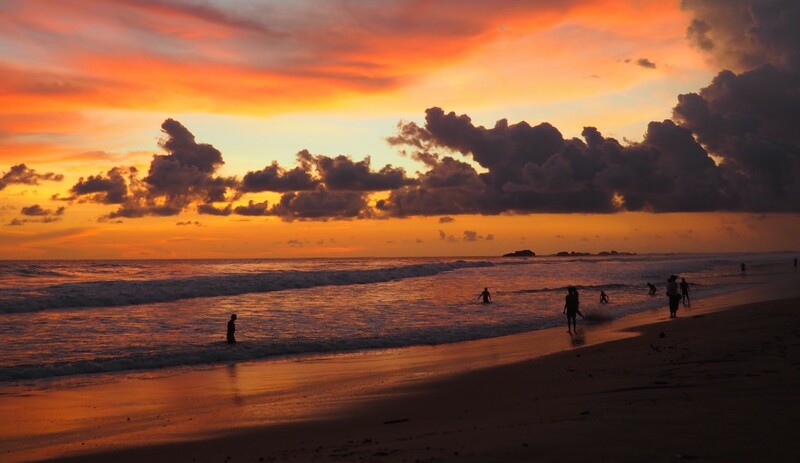 Among all, get sandy toes and salty hair, watch sunrises and enjoy sunsets! Among that you might visit the Tsunami museum, just to understand the extent of this catastrophe. You will see the island and especially its inhabitants differently. Despite all these heart-breaking events they always welcome you with a smile and share everything they can. I think it already came across that we felt like home in Hikkaduwa. An essential part of that were definitely the two accommodations we booked. We can recommend both when you look for something nice to stay in Hikkaduwa. Both are directly at the beach and not far from the main surf spot. In our first stop we stayed at Hug Inn*, where we received a cute welcome smoothie. During our second stay we booked Yula*, which was also great! As Julian had birthday while staying here he found flowers on his breakfast table. These little things make you feel very comfortable! Now your time in Sri Lanka is almost over. As we did not enjoy Colombo too much we decided to stay our last night in Negombo, which is closer to the airport, less hectic and nicer. Enjoy and safe travels! ➳ Everything you need to know while traveling Sri Lanka? 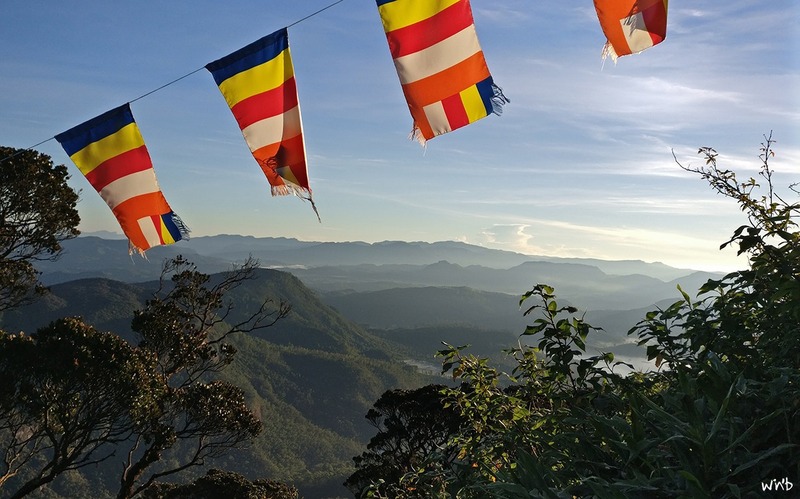 Have a look at our article Backpacking in Sri Lanka! ➳ You are looking for our Sri Lanka Budget Backpacking Tips? ➳ Last but not least here you will find the best matter of transport and more info about driving tuk tuk in Sri Lanka! Great journey! I’m planning my trip ti Sri Lanka for next year. Which kind of public transport do you think is the most safe and the best option? In general, I wouldn’t worry about safety in Sri Lanka. We always felt most comfortable in trains (awesome views included!). Bus rides can be a bit rough as the drivers seem to hurry winding through the highlands. Have fun and a great journey! Thank you very much! Ah, that sounds awesome! We had the same problem, as we wanted to travel from Mirissa to Kandy. So we took the train back to Colombo, heading to Kandy (8 hrs. train ride). To go from the south to the highlands you would need to take a bus from Matara to Ella (5 1/2 hrs. and should be very crowded) or a private driver (which you could share with other travellers). The bus option wasn’t possible in our case cause of sinhalese new year, so we had no other chance than taking a driver from Ella via Uda Walawe to Mirissa / Hikkaduwa (we went from the highlands to the south). If you want to go to Ella via Uda Walawe you first have to take a bus from Matara to Embilipitiya and there a next one to Uda Walawe. After enjoying the safari, you have to change the bus as well. So here you would go from Uda Walawe to Thanamalwila and from there to Ella.